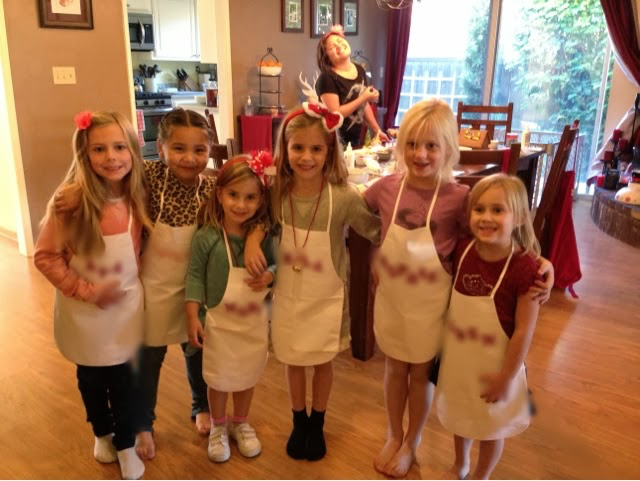 we continued our annual tradition of hosting the bean's dance friends for a cookie decorating party this weekend. 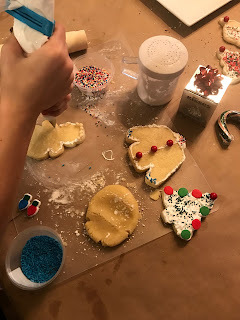 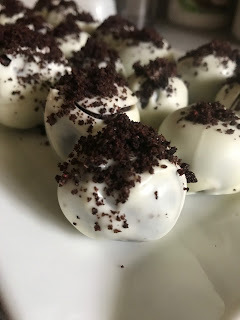 instead of trying to figure out something new to do, i decided we'd stick to tried and true - basic sugar cookies, white frosting, and lots and lots of sprinkles. 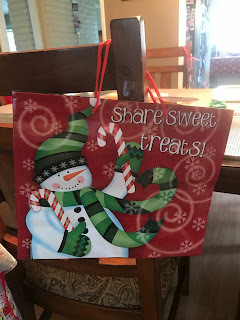 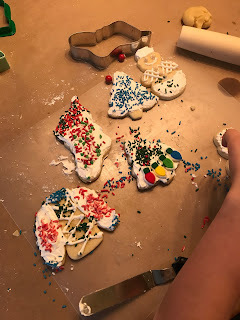 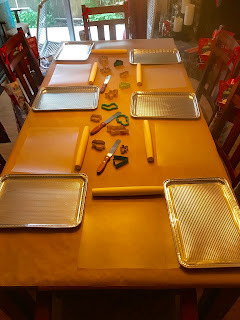 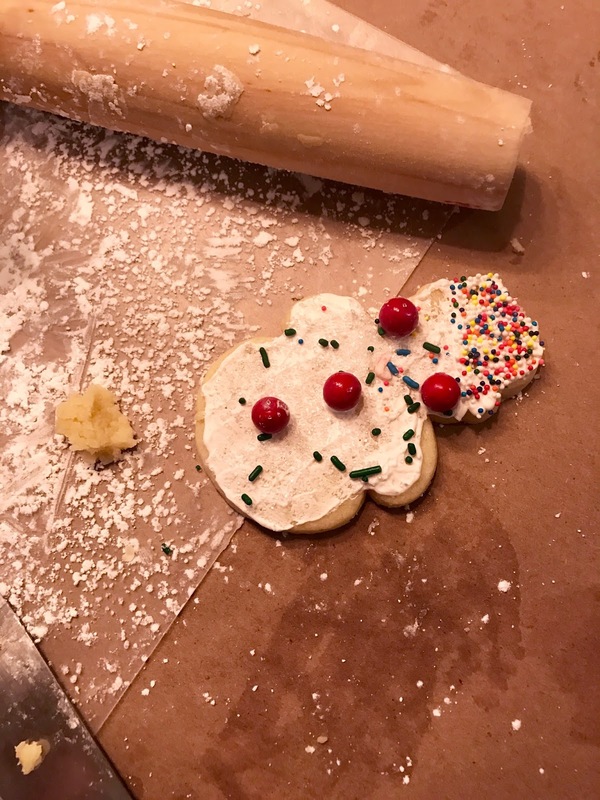 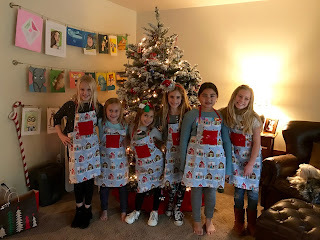 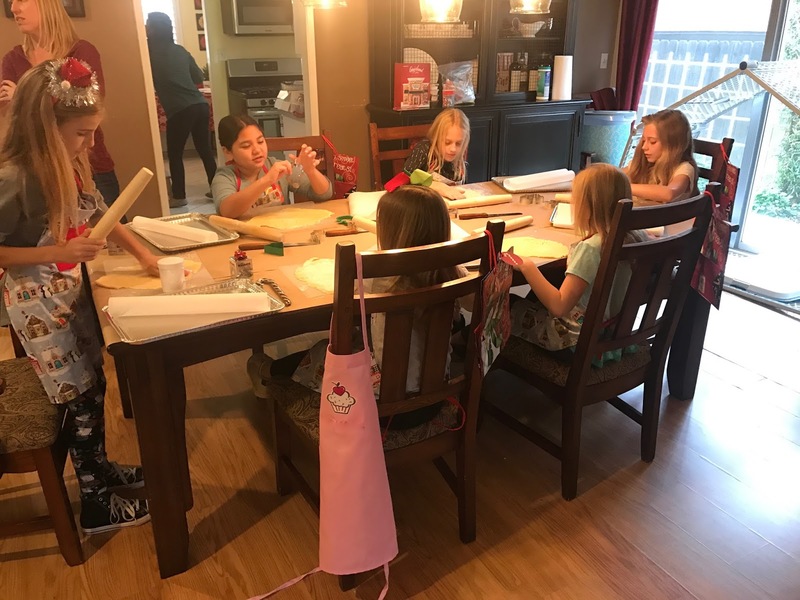 but this year, we threw in a little twist: each girl got a rolling pin, a cookie sheet, and a ball of dough to roll and cut out their own shapes. 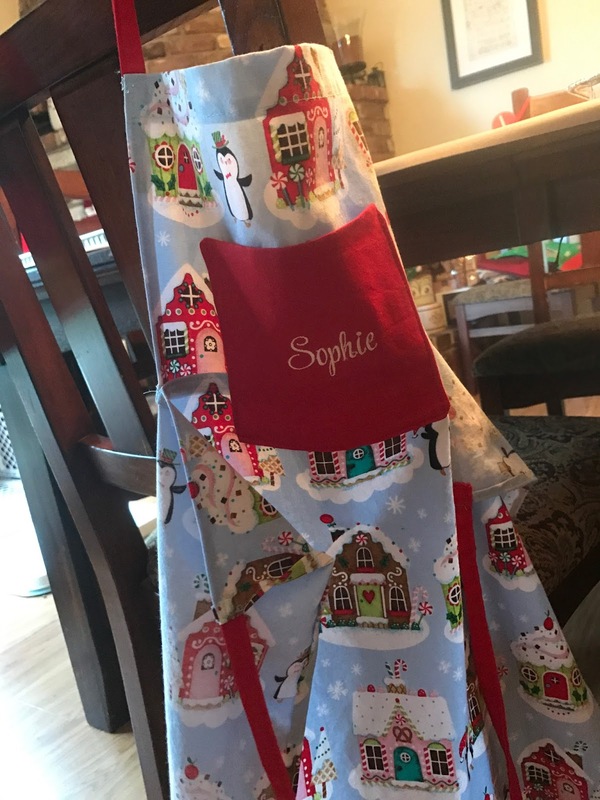 and i busted out new aprons for them...and got to use my fancy schmancy new embroidery machine to customize each one. 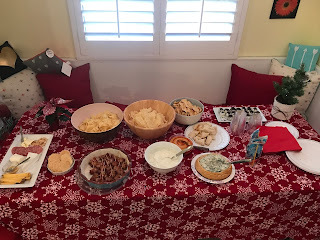 and everyone brought something to munch on. 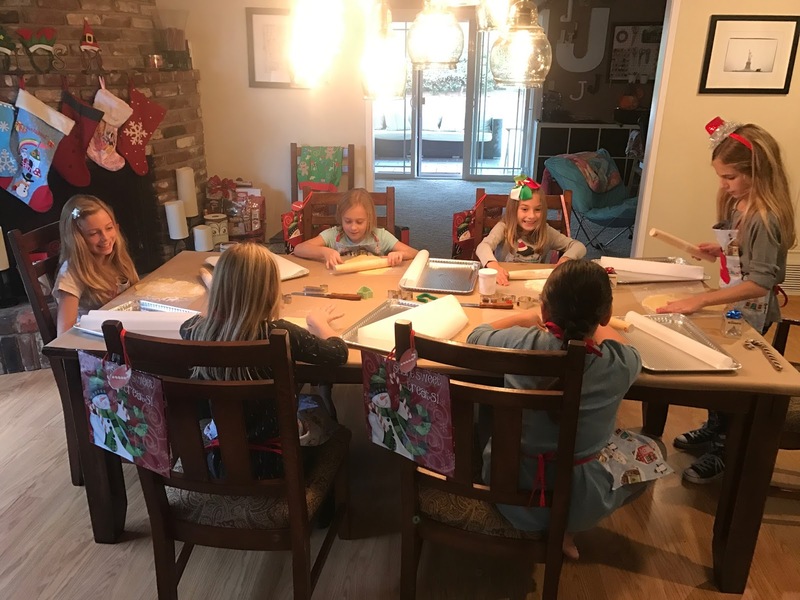 most of the girls don't really see each other much aside from this yearly party, but it never takes them long to get reacquainted and start having fun right away. and then we got them together for a group picture in front of the christmas tree (i'm so excited that we finally got a flocked one this year!). yup, i totally made the old lady photobomb the new version. i crack up every time i look at it. 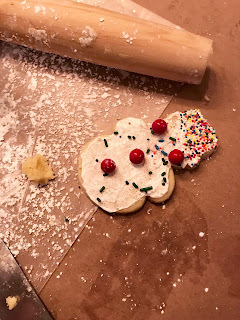 such a fun tradition! 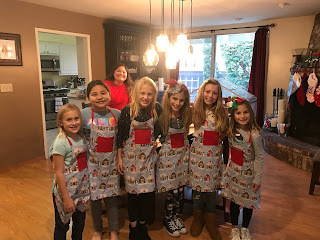 see ya next year, girls!